400 Deaths A Day On India’s Roads. So Just How Safe Is Your Car? In India, more than 150,000 people are killed each year in traffic accidents. That’s about 400 fatalities a day and far higher than developed auto markets like the U.S., which in 2016 logged about 40,000. 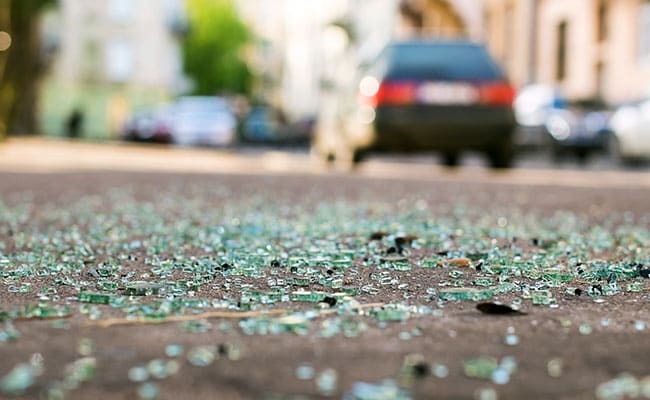 Now, Prime Minister Narendra Modi’s government is attempting to curb the carnage on the roads caused by everything from speeding two-wheelers to cars not equipped with air bags. A bill introduced in August 2016 — proposing harsher penalties for traffic offenses and requiring that automakers add safety features — has passed the Lok Sabha and is expected to go through the Rajya Sabha this year. The wide-ranging changes are likely to boost manufacturing costs for domestic and foreign carmakers in India which will be the world’s third-largest car market after China and the U.S. by 2020, according to researcher IHS Automotive. The World Health Organization estimates that traffic crashes cost most countries about 3 percent of their gross domestic product. The U.K.-based non-profit Global NCAP, which studies the quality of vehicles, has over the years assigned a zero star rating to many small vehicles sold in India — an assessment that there could be life- threatening injuries in a crash at 40 miles per hour. Past efforts in India to boost road safety haven’t taken off, and the success of this one will depend on how strictly it is implemented. India “has delayed 20 years in making safety features mandatory,” said Dinesh Mohan, a professor at Noida-based Shiv Nadar University. Globally, manufacturers haven’t usually added such safety elements “until and unless they were forced to do so by mandatory government regulations,” he said. A spokeswoman at India’s Ministry of Road Transport and Highways declined to give a timing for the new law. Indian consumers are famously price sensitive when it comes to car purchases. Low-cost and no-frills compact cars have long been sold by companies like Tata Motors Ltd., Maruti Suzuki India Ltd., a unit of Japan’s Suzuki Motor Corp., Renault SA and Hyundai Motor Co. These budget vehicles are usually priced below 400,000 rupees ($6,300), and the new law is likely to require that their manufacturers add a string of features like airbags, audio speed warnings and anti-lock braking systems. Costs for Indian automakers will shoot up by 7 or 8 percent after the passage of the new law and will be felt across the small car segment, said Deepesh Rathore, London-based director at consultancy Emerging Markets Automotive Advisors. Ashwin Patil, an analyst with brokerage LKP Shares and Securities Ltd., predicts a short-term impact to the earnings of automakers from the new act and said it could be a death knell for ultra-low-priced cars in India as their cost could go up by as much as 100,000 rupees. Manufacturers sometimes offer “all safety features for the models that are sold in the international markets where they have to satisfy mandatory safety standards, while they offer minimum features for Indian models,” said Mohan. In 2015, Renault sold its Kwid in India without a frontal airbag or anti-lock braking system, earning the model a zero rating from Global NCAP at the time. The following year, it got one star for adult occupant protection after some safety features, including an airbag for the driver, were added. The brand in Latin America earned a higher three-star rating last year. Maruti Suzuki’s popular Alto car and the Tata Nano, which was launched as the world’s cheapest car, are among those that have received a zero rating from the group. The Global NCAP tests are not mandatory for vehicles to be sold in India. All the models meet local safety standards, which are presently far more lenient than global ones. Tata Motors, Renault and Hyundai didn’t respond to requests for comment. CV Raman, head of research and development at Maruti Suzuki, said car makers are investing in facilities, testing and equipment to build advanced safety features into vehicles, ahead of the deadlines set by the government. For each model, Maruti has test crashed 35 to 40 cars to ensure they meet the advanced standards, he said. About 75 to 80 percent of Maruti Suzuki’s cars will become compliant with Indian safety norms about a year before they are mandatory, the company said in a statement. Some companies like Toyota Motor Corp. and Volkswagen AG haven’t made a distinction between their Indian and export versions, and have already exceeded Indian safety norms. Rajan Wadhera, president at the automotive sector of India’s Mahindra & Mahindra Ltd., said his company offers the same safety features on both domestic and export models. The bill is expected to require the additional safety features on cars to be manufactured from July 1. The new law will have higher penalties for offenses like drunken driving. Causes of the deaths on India’s roads range from human error to potholed streets and manufacturing defects in vehicles. Speeding caused almost 67 percent of road accidents.